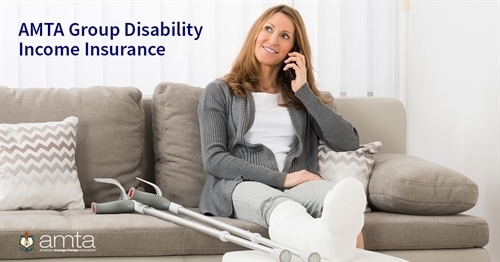 The AMTA Group Disability Income Insurance Plan may help you make ends meet if Sickness or Injury stop you from working and earning an income. Coverage is now available to your spouse or domestic partner. Don’t let disability eliminate your income. Help provide security for yourself and your family. Not yet an AMTA member? Learn more about the 50+ benefits of membership. This is an insurance solicitation. All benefits are subject to the terms and conditions of the policy. Policies underwritten by Hartford Life and Accident Insurance Company, One Hartford Plaza, Hartford, CT 06155, detail exclusions, limitations, reduction of benefits and terms under which the policies may be continued in force or discontinued. Disability Form Series includes SRP-1131 A or state equivalent.